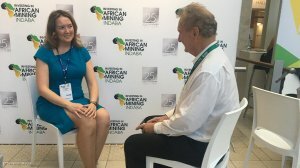 CAPE TOWN (mininingweekly.com) – The London Bullion Market Association (LBMA) has launched a new standard that addresses environmental as well as sustainability issues in gold and silver markets. To do that in a credible way, LBMA has been actively engaging with mining companies and producer nations. For refiners to be listed by the LBMA, they need to demonstrate that they have met the guidance under a third-party audit. “Ultimately, what we’re trying to do is to move the industry to act in an organised fashion so that if you want to have the international price, you’ve got to do the right thing, so it pays to do the right thing. “That’s an important lever. There are lots of standards out there, lots of requirements and I really think it’s only if we act collectively there’ll be a positive change, but using market forces to make sure that, unless you want to operate at a discount, you’ve got to be meeting these best practices,” Crowell explained. “We always had the intention to look at environmental issues, but decided to start with those three. Now, almost a decade later, I’m happy that we’re getting to the environmental issues,” said Crowell. The market in London holds more than $300-billion worth of gold in vaults. The average daily turnover is about $35-billion a day. LBMA chief technical officer Neil Harby said in response to Mining Weekly Online's questioning of the predominance of 995 gold at South Africa’s Rand Refinery, that the traditional refining techniques that have been used for 100 years, take the gold quickly to 995, after which there is a law of diminishing returns in energy and efficiency terms. “So, you start to lose gold after that, whereas the modern techniques making use of wet chemical refining can take that straight to 9999 gold. They don’t have to go through that traditional process, which was invented and used by South Africa because of the nature of the orebody and the material they were getting. "It was using a sledgehammer appropriately. Now that technique is using a sledgehammer to crack a nut,” Harby, formerly of South Africa’s Rand Refinery, explained.